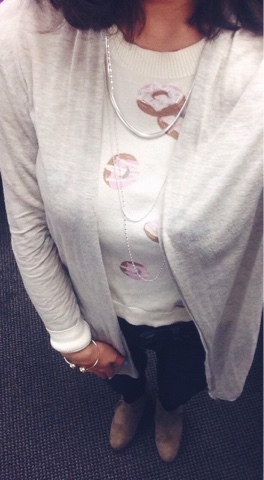 How do you rock a donut sweater, you ask? Well just pair it with a cute cardigan and of course a good strawberry frosted donut. 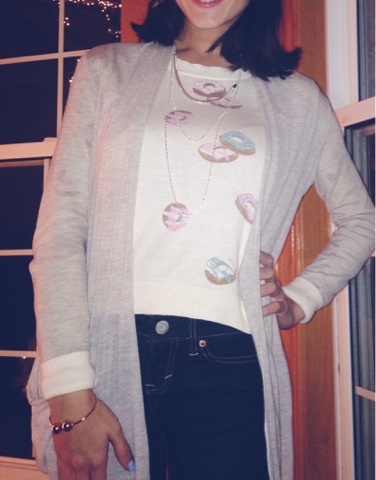 My favorite sweater and of course my favorite thing ever, donuts.